What time is it in Terry Hershey Park? Out for a day in the park at Terry Hershey in West Houston’s Energy Corridor and forgot your watch? 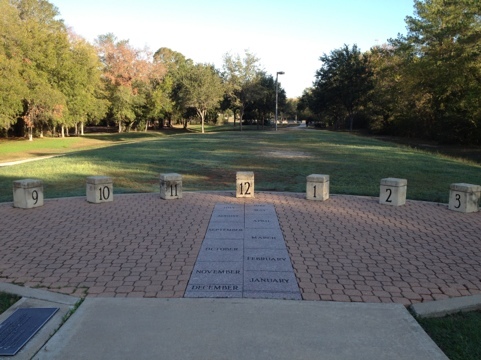 Terry Hershey Park is a hike and bike trail in West Houston the official address is 15200 Memorial Drive at Memorial Mews between Eldridge Parkway and Highway 6. 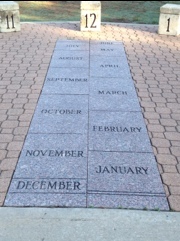 Just stand on the stone of the current month. 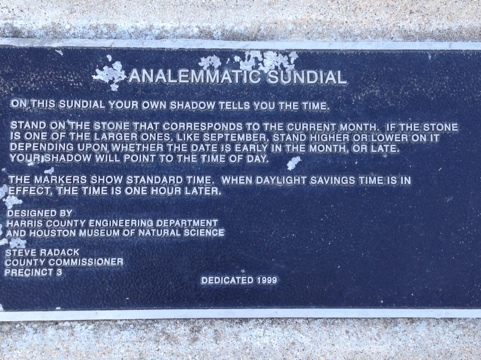 No real worries if you don’t know how to read the clock the instructions are written “in stone” at the base of the clock in the park. If you would like to live near this beautiful amenity in West Houston contact me.